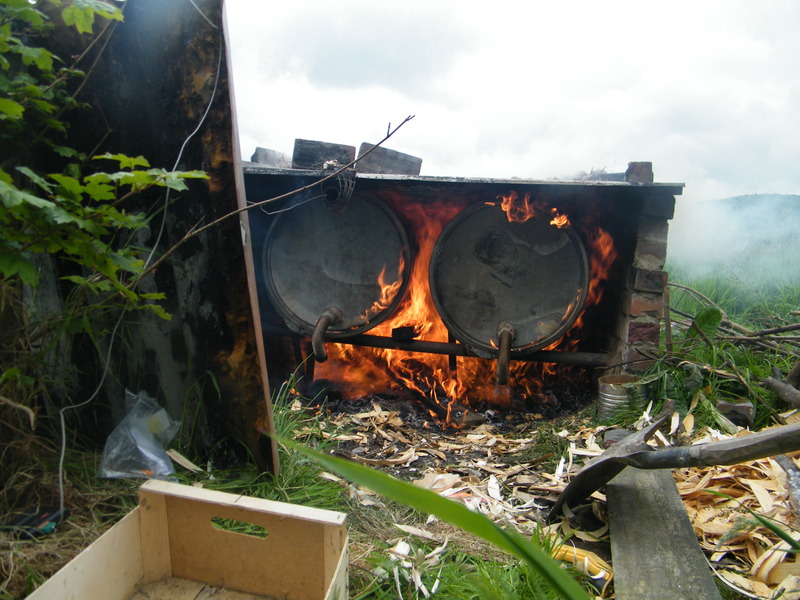 I produce Biochar and some BBQ charcoal using green material and wood – the by product of my woodland management and hedge work. The wood is heated in an almost oxygen free container to produce a carbon rich product. During the process moisture is driven off and the greenhouse gasses (such as methane and nitrous oxide) produced by the process fuel the fire that is heating it up. What remains (biochar) is crushed and bagged in 10 litre recyclable paper bags ready for use in pots, your greenhouse or on your garden. 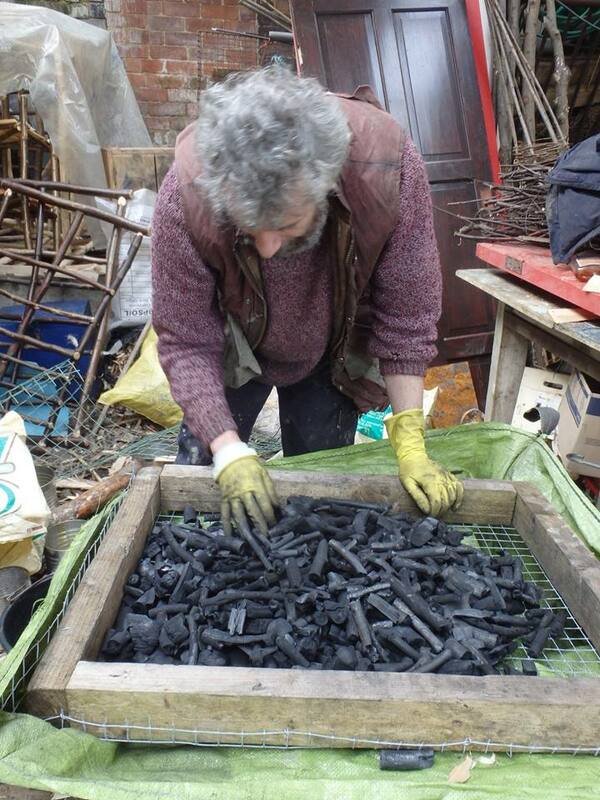 Biochar is a recognized soil improver. Recent trials have shown that introducing it into the soil improves plant yield and root development. It enhances plant growth by retaining and making available nutrients, increasing the habitability of soil for important micro-organisms and by retaining more water.